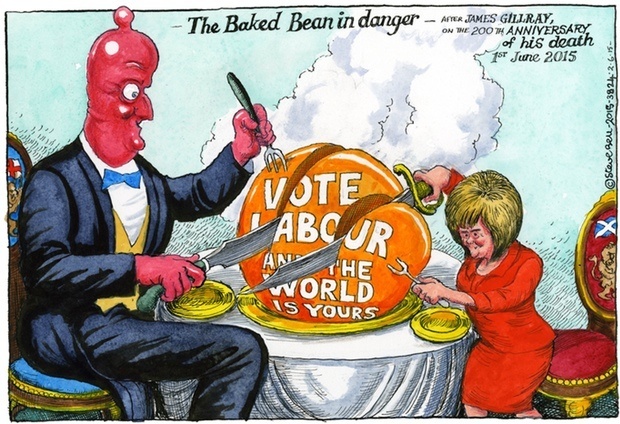 It was the two hundredth anniversary of the death of James Gillray this week. Gillray was one of the leading political cartoonists of the 18th Century and so good at it was he that his images are still influencing cartoonists today. 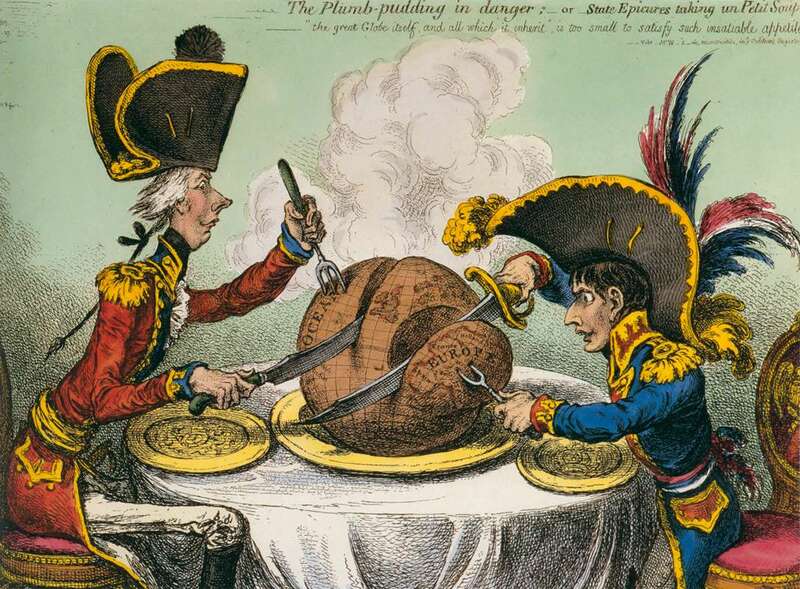 Many since have paid homage to one of his most famous images, The Plumb-pudding in danger, which depicts William Pitt and Napoleon Bonaparte carving up the globe as though it was a joint of meat. Steve Bell paid tribute with an updated version in the Guardian this week; The Baked Bean in danger, replacing Pitt with David Cameron and Napoleon with Nicola Sturgeon. Gillray was an etcher (which makes him even more interesting to me) and sold his prints from Mrs Humphrey’s Print Shop. Miss Hannah Humphrey, publisher and print seller, is another fascinating character; unconventional (for those times) in business as in her personal life, taking risks in both. She and Gillray lived together above the shop which occupied three different locations during its existence. Apparently, they trooped off to church to get married on a couple of occasions but Gillray thought better of it on the way. Here’s an interesting blog about Mrs H. I would like to know more about her. I feel I’m rather doing her down by mentioning her living arrangements rather than focusing on her business acumen… I’ll come back to that in a future post. There is an element of satire in my last PB print, Requires Improvement (petty bureaucracy and the things that stop us doing what we should be doing). I’m not sure that it’s necessarily political, though it does deal in part with the insane burdens placed on local government by central government agencies. My next print will be more of a social satire – if that’s a thing. Watch out for the henchspider… don’t get trapped in his web. 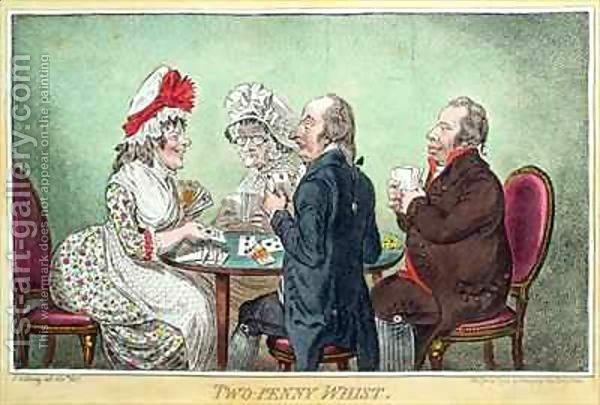 James Gillray ~ Two-penny whist. It's true isn't it. 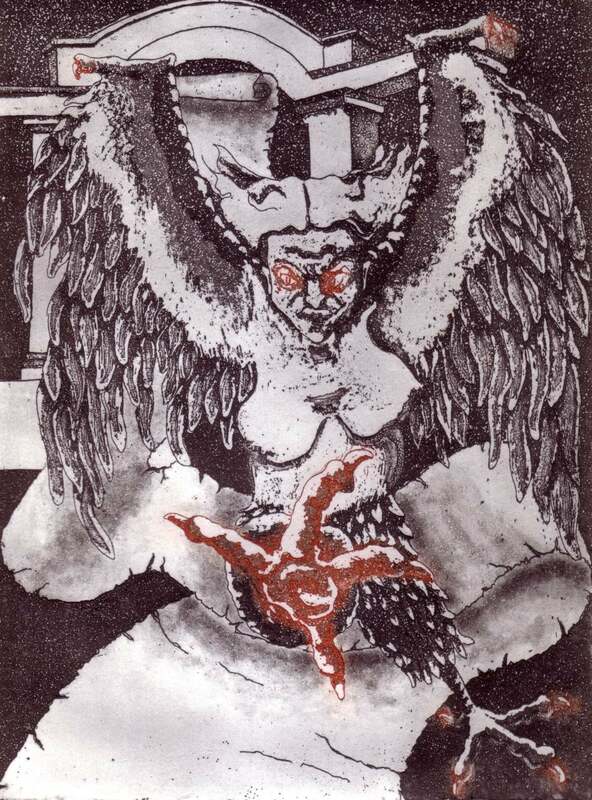 We'd rather it wasn't but it's a fact; each of us, at some point in life, will be beset by the sharp-clawed, pendulous-bosomed, winged demon that for a period of time will make life miserable. This is my way of dealing with it; turn her into an etching. Good review of Scratching the Surface here at the Winchester School of Art Library Blog. Thank you Stephii Baker. The exhibition is on until 16 June so still time to see it!